The master bedroom holds a special place in a homeowner’s heart; shouldn’t its design too? With our top five tips, we hope to help you create the master bedroom of your dreams. Let’s get started! Before you begin designing, we want you to step into your room with a fresh pair of eyes. Come into the bedroom as if it was your first time entering it. With a fresh outlook, you may be able to see things that you have never noticed. This is a fantastic opportunity to rethink your current design and try something new. After you have taken a good look at your room, you may have noticed some things that you want to change. Rearranging your furniture can be a great first step. With a rearrangement, you always want to be aware of the room’s “focal point.” What piece of the room are you trying to bring attention to in the design? Once you have decided on your focal point, you will want to build the design from there. If you feel like you are struggling, it may help to remove all of your furniture from the room and bring it back in one by one. Seasons are changing and so is your design. Now is the time to embrace a new color choice for your room. It may be something as simple as your accent color, but it is time to change. If you need inspiration, take a look at some color swatches from a local paint store. Experiment with different hues, shades, and values before you commit. A master bedroom is a place for relaxation and tranquility, and an overwhelming design will not accomplish this concept. To help make sure your focus stays on track, we recommend keeping it simple. The simplicity of your bedroom’s design can help to establish a clean working board and a stress-free environment. Lastly, it is time to accessorize. A few light decor pieces can transform your master bedroom into the oasis of your dreams. Try to go light with the decor at first then slowly build from there. You can always add more accessories later. Is the flooring in your master bedroom in dire need of an update? We would love to help you find the flooring of your dreams. Stop by our one of our beautiful showrooms or give us a call to learn more about our selection, pricing, and offers. Thanks for reading! We know how busy you are at work or being a stay-at-home parent, and you may let your other responsibilities suffer due to time restrictions. We are talking about paying bills while maintaining a calendar for yourself and family members with schedules for doctor appointments, game days, and school outings; not to mention a plethora of other duties. Let us help you get a grip on your household and have quality time leftover by helping you manage and organize your paperwork. We love file folders for organizing, but actually binders are the best way to keep papers organized for current projects and reference down the road. Whether you are using the binder in the room or need to take it with you on the go, they are so easy to grab and go. Binders are the perfect product for easy storage. Put them on shelves, in drawers, filing cabinets for easy access and quick use. Purchase when they go on sale during BOGO sales. Binders can be reused over and over, and their identification labels on the front covers and spines can be easily upgraded to a new topic. If you sit down and start to jot down what you need help with organizing, you instantly realize that this practice is a critical key to developing a quality work-life balancing act! We use binders for recipes, home appliance/warranties/manuals, home maintenance information, various holiday planning guides, detailed medical files for each family member, pets, etc. We know what you are thinking, “I keep everything on my phone!” Well, we know all too often how easy it is to misplace our phone, or the battery will die right when we need it. While you are busy looking for your phone, the thought of adding something to your notes or calendar has vanished. Technology is a wonderful thing, but writing things down helps us to remember an upcoming task. How do you stay organized? Do you feel that technology is the way to go? We would love to hear your feedback below in the comment section. For directions to our showrooms, please visit us here. We look forward to meeting you! Are you someone that loves the look and feel of textiles? If so, welcome to the club! We have learned from our many travels that bringing home textile from a favorite place is a perfect way to add to our collection. Textiles require little space for packing, varies in price from inexpensive to expensive, and will last for years and years! Plus, they have an infinite amount of uses for design. To help you gain a little inspiration, we have three must-try ideas for incorporating textiles as wall decor. Let’s take a look! You can display that beautiful silk scarf you purchased in Madrid, Spain by framing it on your wall. Choose a matching frame with complimentary custom mats or pull the fabric from edge to edge without a mat behind it. Framed textiles are perfect for displaying the texture and beautiful colors of the piece. When guests are visiting, these pieces of art are always an interesting conversation piece. You can also frame them by using an acrylic box frame that shows the dimensionality of the textile. This will help add depth to the textile while safely displaying it on the wall. As flooring professionals, we understand how diverse flooring nowadays can actually be. If you find a rug that you love, simply go to your local hardware store and purchase a finished drapery rod or a raw wooden tomato stake. If you choose the wooden stake, you may want to sand down with an electric sander and stain or paint to match your area rug or the wall color. You can hang it on the wall with hooks or drapery hardware. This is a great way to cover the large space of an otherwise blank wall. We love this idea because you can use almost any textile to make your headboard. The textile does not have to be finished; it can be raw because the edge of the fabric will be stapled to the back of the headboard: purchase pre-cut and measured plywood for the headboard. Your local hardware store will most likely measure and cut the plywood for you for free or a small fee. Afterward, purchase the fiberfill or batting from a fabric store to place on the plywood, so the board looks three dimensional and staple to the back of the board. Voila! You have a stunning, original headboard that showcases your travels. We hope you enjoyed our article and would love to hear about your travels and treasures. Please share how you chose to display your textiles below in the comment section. Thanks for reading! The galley kitchen layout has become so popular because it is ideal for smaller spaces. It consists of two walls, opposite of each other accompanied by a single cooking station and small countertops that are opposite of each other. Galley kitchen designs also feature a narrow walkway. 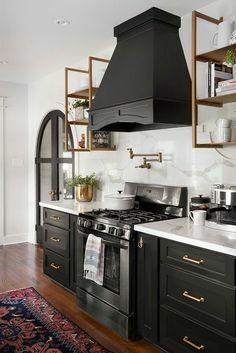 Traditionally, these style of kitchens are basic in design and are not equipped with the advanced components that more modern kitchens have. No doubt, your priority in designing your galley kitchen is to maximize space. There are several tricks you can employ to expand the space that you are working with visually. The best way to add visual depth and width to your galley kitchen is to start from the floors. To help visually open up the space, you can install your floorboards horizontally. This will make the kitchen appear longer than it actually is. If you want to add more height to the kitchen, slightly raise your appliances off the floor so that you can create the illusion of depth. Selecting the right color can be challenging. In this scenario, it is best to go with colors that are light and airy. Lighter colors tend to open up small spaces, whereas darker hues will create a claustrophobic feel. Neutral tones, pastels, and bright colors will help to brighten your small space and reflect any natural light. Everyone knows that good lighting can enhance the color scheme, further open up a space, and set the mood. 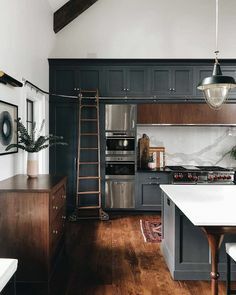 Small galley kitchens should be well-lit. You will want to go with bright overhead lighting as well as a few task lighting over the countertops. It is ideal to bring natural light into the space, but if you do not have that option, artificial lighting can do wonders. Are you in the market for new floors to finish off your galley kitchen? We would love to help you at Century Tile. Stop by one of our beautiful locations or contact us for more information. There is nothing quite like having the opportunity to escape everyday life and getting lost in a foreign place. If you have ever fallen in love with a destination, you know that a vacation’s end is often met with melancholy. So how can you bring a piece of heaven back to your home so that you always remember that special destination? Most travelers look to souvenirs to serve as a reminder. Often, when cheesy souvenirs are implemented in a home’s decor, it tends to look tacky. How can you best embrace your love for travel in your home’s design scheme without overpowering the design? The key to implementing travel into your interior design without disastrous results is moderation. To help you master incorporating travel in your design, we created two simple tips. Let’s take a look! When traveling, try skipping the cheesy souvenir shops that only stock tacky knick-knacks. Instead, you will want to select pieces that will fit in with your home’s decor. It can be a hand-painted bowl that you can sit on your kitchen countertops or a handsewn quilt that you can throw over the couch. When using souvenirs from foreign places in your home’s decor, you want to do so moderately. Be sure to do so with sophistication and sparingly. 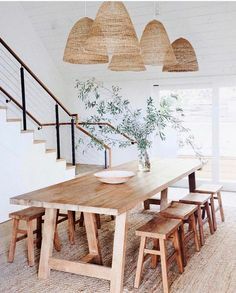 That means if you went to a beach destination you should avoid decking the walls in seashells or accessorizing your tabletops with bowls of shells. Instead, display seashells like artwork. Select one unique piece and display it in a way that it stands out on its own. Simple pieces such as a scented oil or pottery plates that you bought to eat dinner on every night can serve as a reminder of your travels. As much as you may love Hawaiian colors, instead of painting the walls those bold colors and using Hawaiian inspired fabrics throughout the house, you can incorporate elements of the theme subtly. You can feature a large painting of your beloved destination. Your mementos from your travel should not completely alter the decor of your home. Instead, it should be individual pieces that add to it and causes you to relive that feeling of being on vacation. This year has brought many changes to the home design industry, and it has been a fantastic time for advancement in new technology and products. During a season of reflecting and recapping the year, we have compiled a short list of the most popular flooring trends in 2018. Let’s take a look! With today’s busy families, waterproof flooring comes to the forefront as a requirement that homeowners are requesting. Waterproof flooring can work great in areas like kitchens, family rooms, bathrooms, laundry rooms, and mud rooms. In the past, tile was basically the only flooring that could guarantee a water-resistance property, but now we have 100% waterproof luxury vinyl tile or plank flooring that looks just like wood or tile/stone floors. With today’s technology, we have wood-like floors in luxury vinyl tile, laminate, and ceramic tile. Although this is not new, it has been extremely popular for several years and continues to grow and meet the demand of today’s homeowners! Blonde flooring is here and looks fantastic with almost any design style, especially modern and contemporary. Blonde floors make any room look larger, pristine and airy! Gray and whitewashed floors are still popular and not going anywhere, so do not fret! Most homeowners are concerned with our environment and are very interested in where and how their flooring is manufactured. Bamboo flooring is the most eco-friendly flooring and continues to attract the green thumb homeowner. As you probably already know, texture in home design and fashion is a big deal now. With technology processes, the flooring industry is producing floors with distressed, wire brushed and hand scraped appearances in wood, laminate, and luxury vinyl tile. Textured flooring makes the floor look more natural while adding to the overall design of the room. What is your favorite 2018 flooring trend? We would love to hear your thoughts below in the comment section! There is a perfect type of flooring out there for you, and you just need to find it. In the effort to help you narrow down your search, we have created four easy steps for beginning the process. Let’s take a look! 1. Consider The Type of Room. When you are in the market for new floors, you will need to take into consideration the type of room in which you are installing flooring. If the room is prone to moisture like a kitchen or bathroom, you will want to choose a flooring material that is water resistant or waterproof. These features will help fight against accidental spills and humidity. If moisture is not an issue, you can choose any type of flooring that you desire! Each homeowner will have a different list of needs for their space. Whether you have an active or inactive home, it will determine the type of durability you will need. For homes that are active, you will want a flooring with excellent wear resistance. Great durability means fewer scratches, stains, and dents. Once you have your list of needs and the type of room, you can begin to narrow down the style and look that you want. From authentic hardwood to gorgeous natural stone, you have a wide selection of options to meet your needs and budget. Lastly, you will want to prepare for your installation. The installation day can be an extremely exciting time for homeowners, but we do not want you to get lost in the excitement. Before the installation, you will want to remove all furniture from the room. You will also want to follow any strict instructions for your new floors (i.e. hardwood). On the installation day, try to remain flexible with your timeline. We understand that you are eager to have your new space, but with every great thing, it takes time. Finally, if you have any questions or concerns about the installation process, please do not hesitate to reach out to us. We strive to have 100% customer satisfaction. Let us help you create the home of your dreams today! Call or visit us today for more information. Do not let that empty space above your toilet go unused and unnoticed. Take advantage of the open space by filling it with one of our awesome ideas. Let’s take a look! Mirrors are always a fantastic decor choice. Not only can you look at yourself in them, but they open up a space by reflecting light. If you have a small bathroom, a mirror above the toilet may be a good option for you! For a unique twist, you can purchase several small mirrors in different styles and place them in a design above the toilet. Do you have an extra wooden wine box and you are looking for a fun do-it-yourself project to start? Repurpose the wine box by making it into a planter to hold your succulents. Plus, you will find that succulents are a great plant option for bathrooms because they do not need to be frequently watered! Hang a plant from the ceiling. Line up three small plants on a shelving system. Place an overgrown plant on the shelf, and have the leaves falling off a bit for a stylish decor look. Mix plants with other decor pieces for a trendy look. Take your love for 3-D and use it in your bathroom decor. Wall sculptures can be a fun, interesting decor piece that will work perfectly above your toilet. Just be sure to find one that is the right size for your space. Do you consider yourself a thrift store guru? Then this challenge is for you! Find yourself a used, rustic ladder and transform it into a toilet shelving system. You can use the steps of the ladder for shelves and create a timeless piece for your bathroom’s decor. Wired baskets have always been a bathroom classic. Whether it is holding your toilet paper or your magazines, wired baskets are a fun and fresh idea to spruce up this space. Plus, the open concept will help you to keep your bathroom tidy. If you love art, try adding in a piece of your favorite abstract artwork. Abstract artwork can add a unique twist to traditional bathroom decor. Take your design skills and create a gallery wall with fun pictures and wall decor! Be sure to mix in several different decor pieces to create the perfect look. Nothing is quite as beautiful as fresh flowers. If it is within your budget, adding fresh flowers to your bathroom can be a glamorous finishing touch. If it is not within your budget, you can dry the flowers out and still use them as a unique piece of decor. For a more minimalistic approach, you can simply put a few decorative pieces of glassware and vases above your toilet. This creates a clean, sleek look without overwhelming the space. You will find that these ideas are perfect for small bathrooms that need a little flavor in them. Half bathrooms and tiny bathrooms can rejoice! You have found the holy grail for bathroom decor ideas.